We’ve known for some time now that Sega was planning on releasing a Genesis Mini retro console, but up until now details have been thin on the ground. We do now finally have a release date for the box: September 19. Kotaku reports that the announcement was made on stage at Sega Fes 2019. The Sega Genesis Mini will hit stores in the US for $79.99 – that’s roughly £60 or AU$115, though we don’t have the official international pricing yet. The US version of the console is going to differ from the device sold in Japan, which will be take the Mega Drive name like the original console (Genesis was a rebadging done for the US market). Apparently the US version of the retro gaming box will come with three-button controllers that connect via USB. The Japanese version is set to ship with six-button controllers. Again, there’s no news on which version will hit Europe or the rest of the world. We know some of the 40 games that’ll be bundled with the box too: Altered Beast, Castlevania: Bloodlines, Comix Zone, Dr. Robotnik’s Mean Bean Machine, Ecco the Dolphin, Gunstar Heroes, Shining Force, Sonic The Hedgehog, Space Harrier II and ToeJam & Earl will be included in the US. 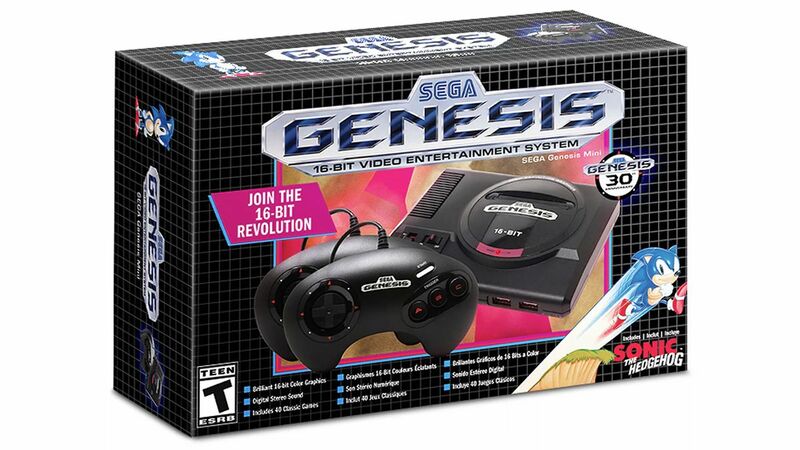 Sega follows both Nintendo and Sony in releasing a retro version of one of its classic consoles, but we’ll have to wait until September to see if there’s enough built up nostalgia for the launch of the Genesis/Mega Drive Mini to be a hit.